The large group of musicians onstage included the students who will be on the Worship team next year. 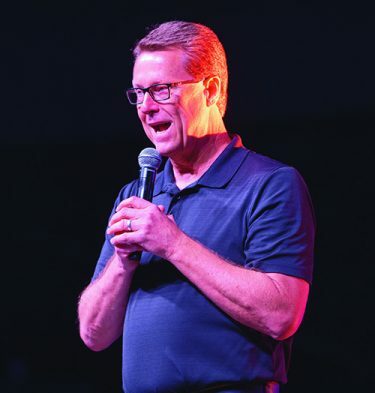 To be fully appreciated, the last Chapel service of the 2018-19 academic year at Grand Canyon University needs to be experienced by watching this video. Even students and staff who were there should view it again. The seniors leading the Worship team, backed by a large group that included the students who will begin performing those duties in August, put every ounce of their being into making the music special. The emotion was palpable throughout, especially as lead singer Katie Brown sang “How Great Thou Art” at the end of the first set and later fell to her knees in worship during the closing songs. Dr. Tim Griffin, Pastor and Dean of Students, gave a short talk between the music sets. “That last song messed me up,” he said. Griffin’s Bible reference was the story of Jesus joining two disciples on the road to Emmaus (Luke 24:36-49) and then appearing for all the disciples and eating with them. 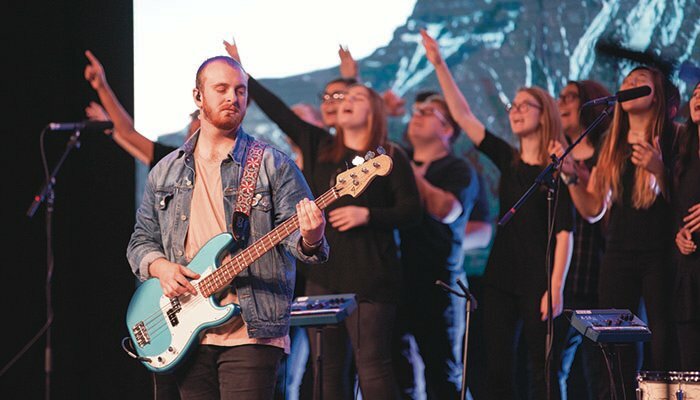 He urged students to spread the Good News wherever they go, whether they’re graduating this month or returning in the fall, and then the Worship team gave them some music to further inspire them to continue the Great Commission. But the memory of this Chapel won’t fade. It was the perfect ending for the members of the Class of 2019 and the ideal motivation for their successors to continue that spirit – how great it was.